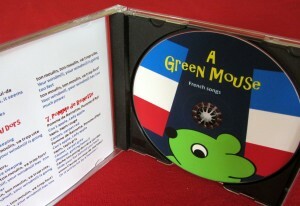 This is a collection of traditional French songs and nursery rhymes recorded at a slightly slower pace with lots of repetition and English translations to help young English children to join in and sing along. Some of the songs have actions. Friendly pre-school and primary French listening and oral practice. 1. Promenons-nous dans les bois! – Let’s go for a walk in the woods! – Miller, you are sleeping! The first verse of a French song about a donkey not feeling well.